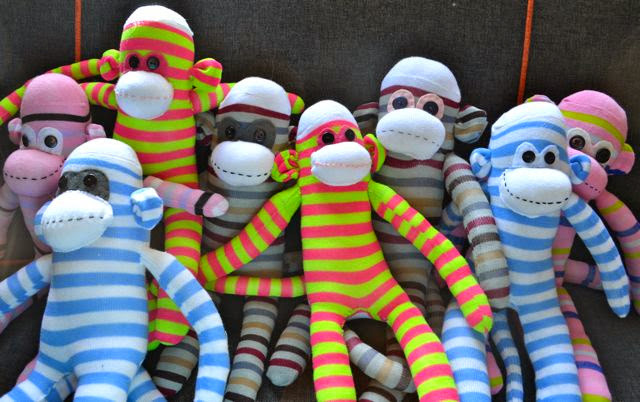 Then a whole barrel of monkeys. 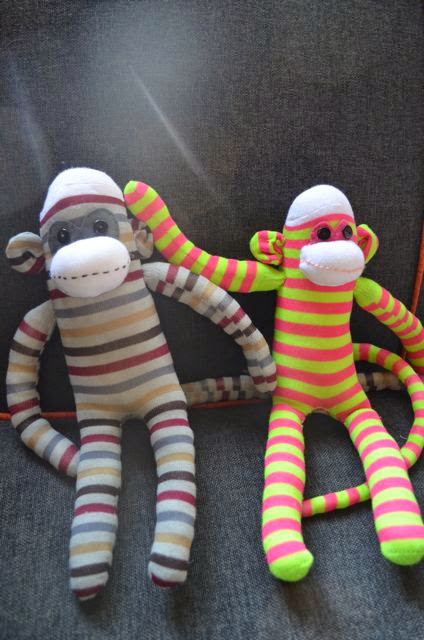 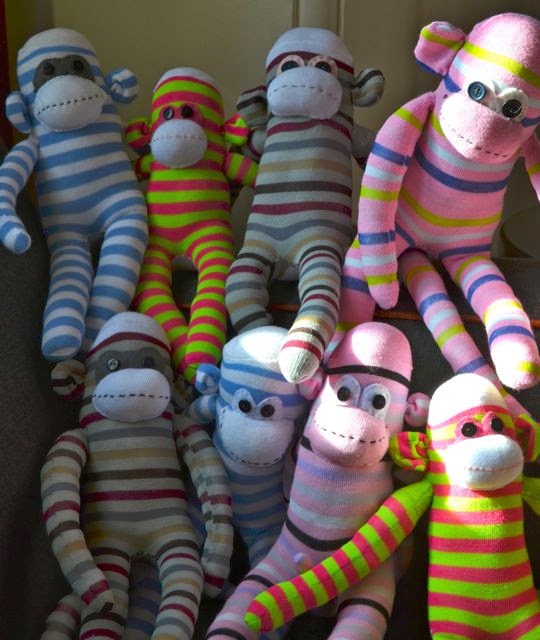 Our craft group got together to solve the worlds problems and make sock monkeys for the school fete. 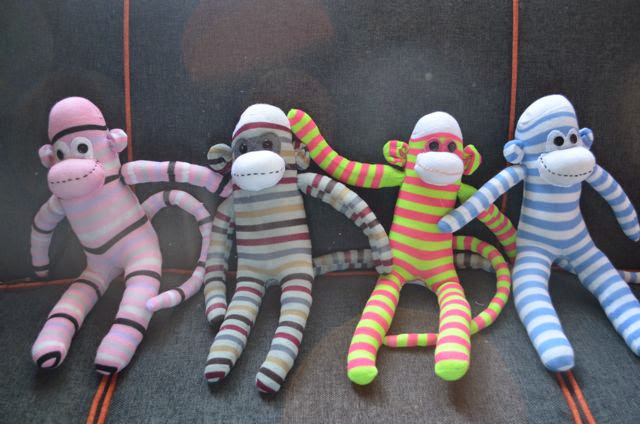 There is a lot of stuffing involved in making these little cuties, and they do take quite a bit of time, but hopefully they'll appeal to our school community and get snapped up come October.